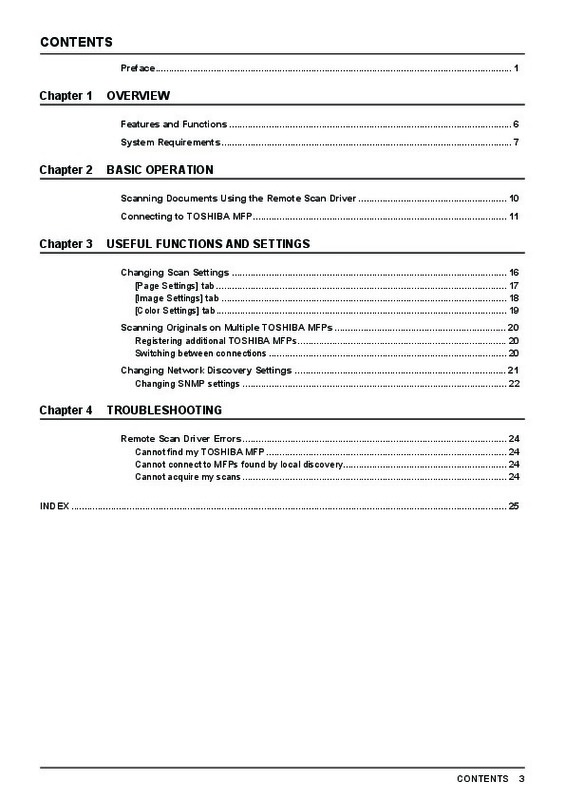 Toshiba E-Studio 5520C 6520C 6530C FC 2330C 2820C 2830C 3520C Remote Scan Driver – MULTIFUNCTIONAL DIGITAL SYSTEMS Operator’s Manual for Remote Scan Driver 2008, 2009 TOSHIBA TEC CORPORATION Under the laws, this manual cannot be reproduced in any form without prior written permission of TTEC. 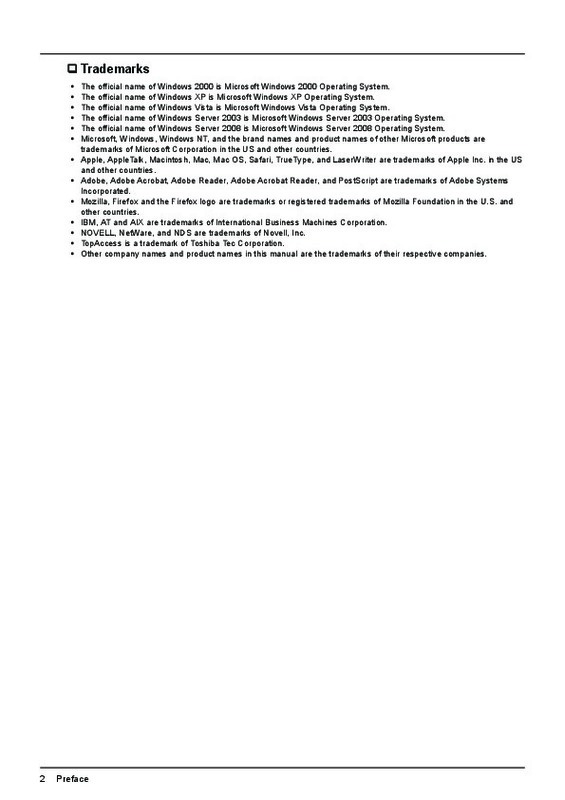 No patent liability is assumed, however, with respect to the use of the information contained herein. Preface Thank you for purchasing TOSHIBA Multifunctional Digital Systems or Multifunctional Digital Color Systems. 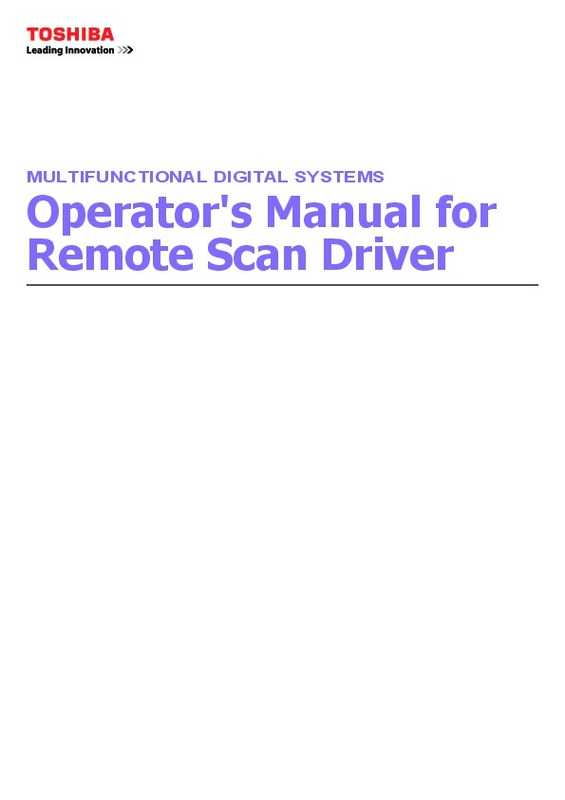 This manual provides instructions on how to retrieve your scans using the Remote Scan Driver. 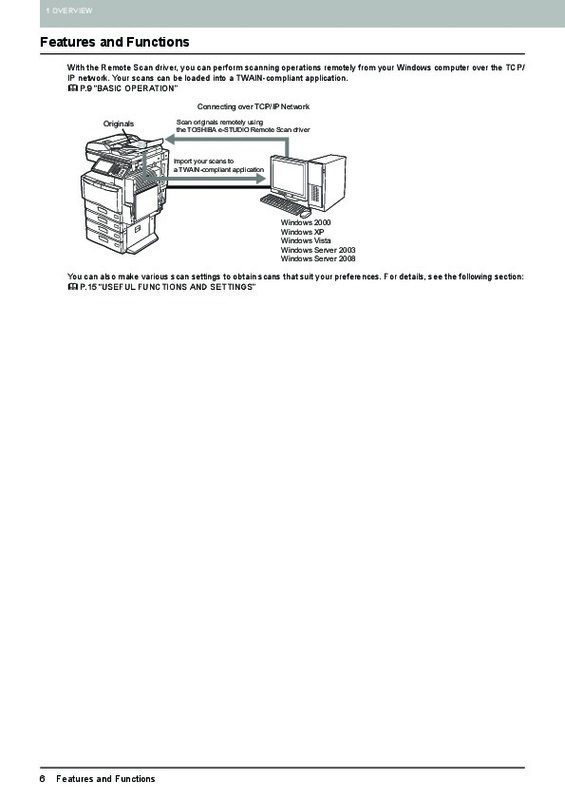 The e-STUDIO455 Series and the e-STUDIO855 Series provide the scanning function as an option. However, this optional scanning function is already installed in some models. 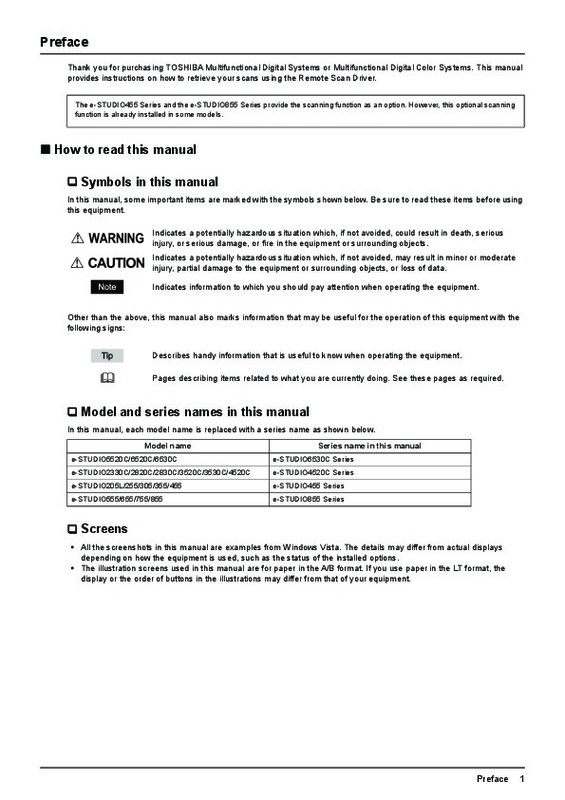 How to read this manual Symbols in this manual In this manual, some important items are marked with the symbols shown below. Be sure to read these items before using this equipment. 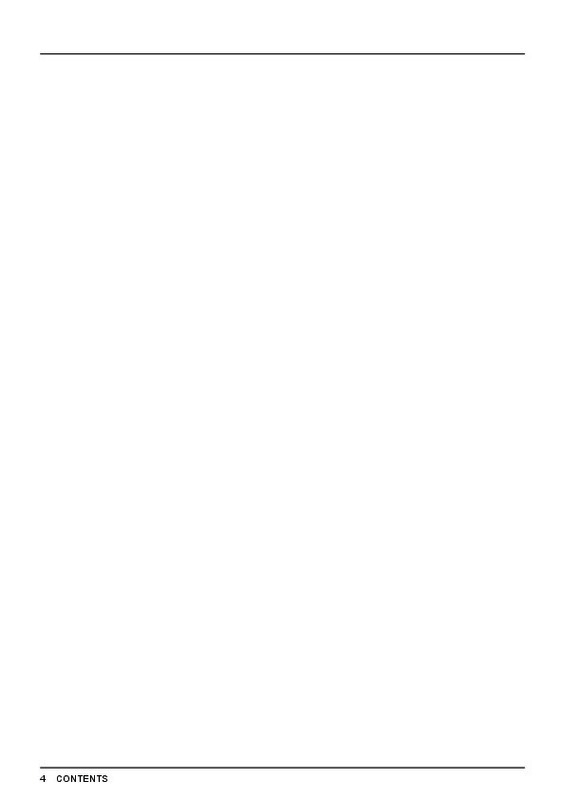 Indicates a potentially hazardous situation which, if not avoided, could result in death, serious injury, or serious damage, or fire in the equipment or surrounding objects. Indicates a potentially hazardous situation which, if not avoided, may result in minor or moderate injury, partial damage to the equipment or surrounding objects, or loss of data. Indicates information to which you should pay attention when operating the equipment. 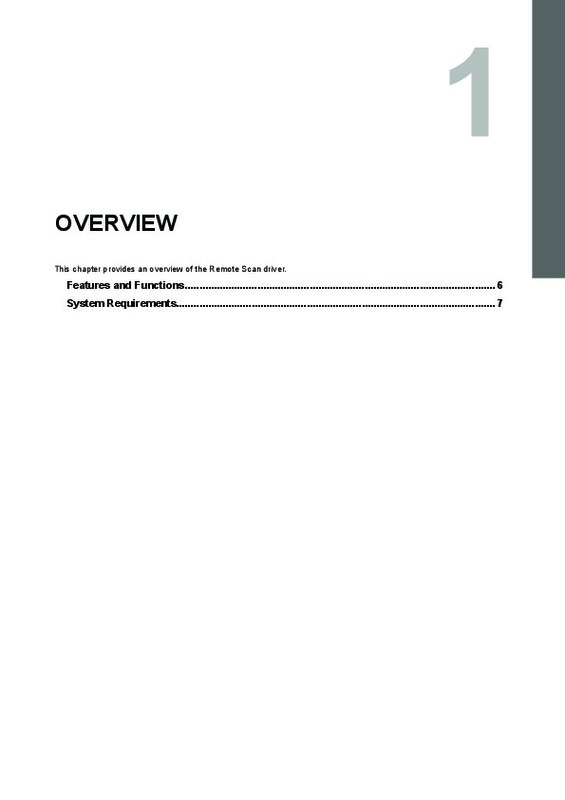 Other than the above, this manual also marks information that may be useful for the operation of this equipment with the following signs: Describes handy information that is useful to know when operating the equipment. Pages describing items related to what you are currently doing. 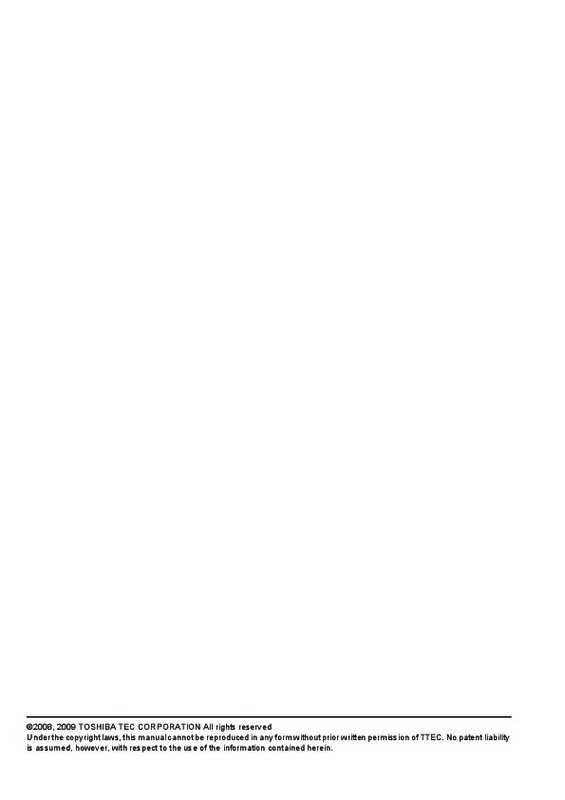 See these pages as required. Model and series names in this manual In this manual, each model name is replaced with a series name as shown below. Model name e-STUDIO5520C/6520C/6530C e-STUDIO2330C/2820C/2830C/3520C/3530C/4520C e-STUDIO205L/255/305/355/455 e-STUDIO555/655/755/855 Series name in this manual e-STUDIO6530C Series e-STUDIO4520C Series e-STUDIO455 Series e-STUDIO855 Series Screens All the screenshots in this manual are examples from Windows Vista.